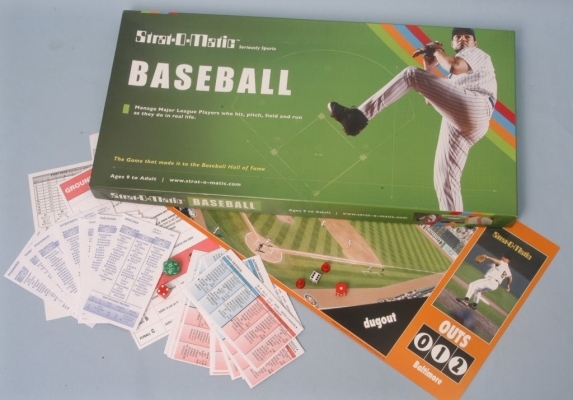 The baseball game was introduced in 1961, followed by football in 1968. Basketball and ice hockey games were added later. Still run my own league at home using the CD-ROM game (now a digital download). Been playing SOMBB for over 35 years. Anyway, here's a pic of the horse racing game that dominated my desk for several years, like throughout most of the 70's... (Yes, I'm the only person I've ever met that had the game, but I knew a few others that had baseball or football. 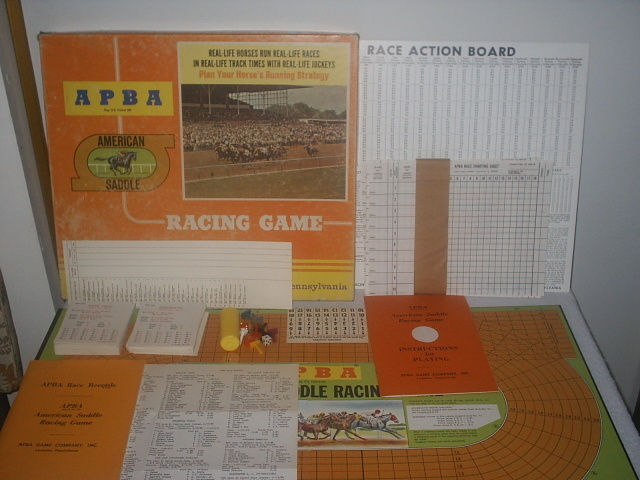 I hadn't heard of the APBA horse racing game. Would you like to help create an entry for it here? If you can locate a reasonable photo, click on "Submit an item" at the bottom of the page. Never had one of these... I was an APBA guy.